This reliance on single-function sensors is one of the reasons connected-home systems cost so much. The guys at Notion think they have a better idea. They’ve incorporated eight types of sensors into one very small device that can detect motion, acceleration, moisture, light, proximity, and sound. You deploy the same sensor to determine the state of your doors and windows that you’d use to be informed of a leaky water pipe. 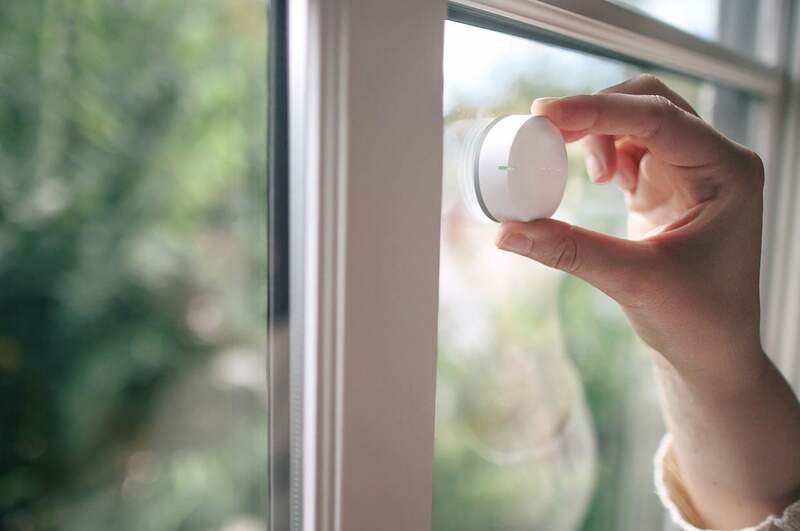 Thanks to economies of scale, Notion plans to sell three of its sensors and the bridge needed to connect them to your Wi-Fi network for just $199. Why this matters: I won’t be able to render a final judgment on Notion until I get my hands on a kit and try it out, but the concept makes a lot of sense on paper. If Notion can tie into modern lighting controls—so its light sensor can send a message to turn on the outdoor lights when it’s dark, and its motion sensor can turn on an indoor lamp when I enter a darkened room—it could significantly reduce the cost and complexity of building out a smart home. Notion enjoyed a very successful Kickstarter campaign last year, raising more than $280,000 against a goal of $50,000, and today yesterday the founders announced the closing of a $2 million venture-capital round. The additional funding will be used to “help support their launch and expand their sales and marketing teams,” according to a press release. 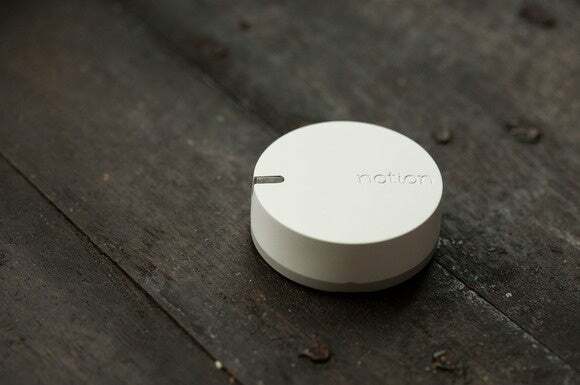 Notion sensors use a proprietary flavor of the ZigBee protocol to communicate with the Notion bridge, and the bridge relays data to your home router using Wi-Fi. The company plans to also develop a bridge with cellular connectivity, so you won’t need to have broadband service to use the system. This would be a good option for a vacation home where you don’t want to pay for Internet access month in, month out. The sensors have a range of about 175 feet (with walls in between) or 300 feet if there’s a clear line of sight. The smartphone app you use to manage the system will inform you if a sensor is out of range, and you can deploy multiple bridges if you have a large home (the bridges can relay data to each other, so you’d need only one bridge will cellular capabilities in any one home if you wanted that option). 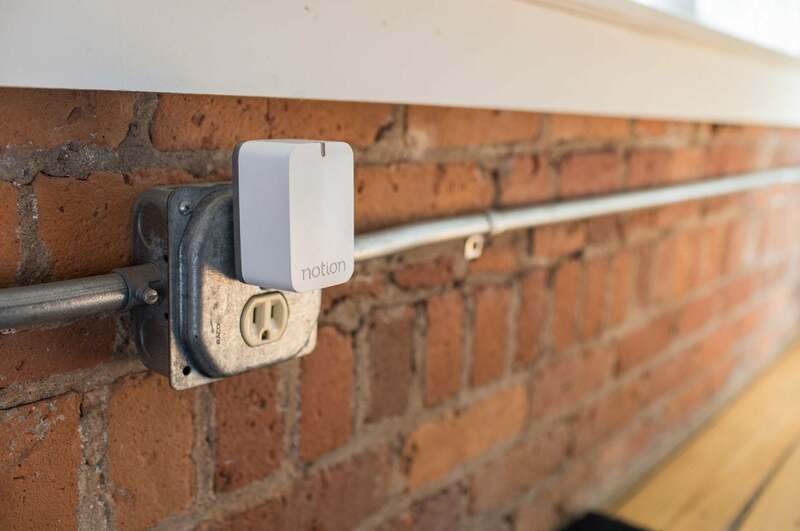 The sensors themselves can operate as a mesh network, but that feature is currently disabled because of its impact on battery life, according to Notion CEO Brett Jurgens. The Notion ZigBee-to-Wi-Fi bridge is shown here. The company is also working on a ZigBee-to-cellular bridge. You can set a Notion system up to receive text messages informing you of doors or windows opening when you don’t expect them to, water pooling on the floor next to your water heater, your smoke or CO detector sounding off, and similar scenarios. Since each sensor monitors everything in the environment, the same sensor that warns you of an open door or window can also alert you if an intruder breaks the window, or if someone is in your house when it should be empty, or if your smoke detector is going off. Unlike the Leeo Smart Nightlight, however, you won’t get a phone call with a recording of the sound that set it off. 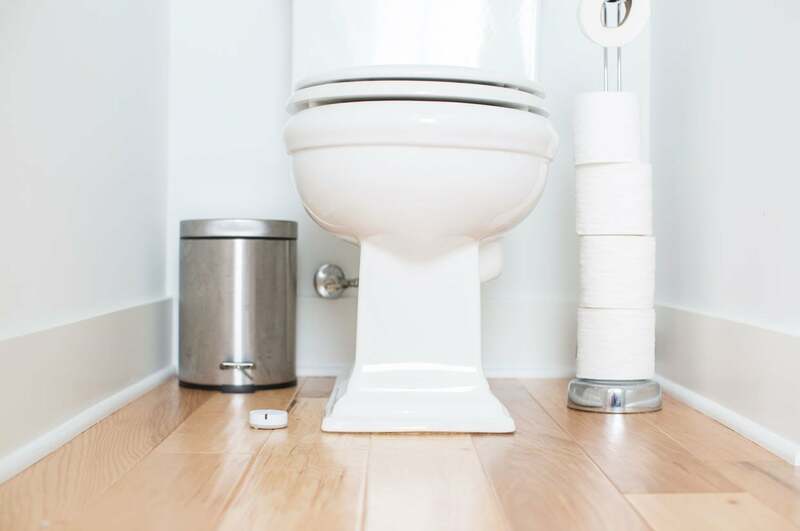 You’ll also be able to set up an alert tree, so that if you don’t respond to an urgent situation—such as a water leak—in a timely fashion, the system will ping your friendly neighbor who can then check things out for you. Despite the real-time cloud-based monitoring and messaging services, Notion does not plan to charge its customers a monthly subscription fee (Jurgens said Notion does expect to charge $10 per month for the cellular model of the ZigBee bridge). Water damage from an overflowing toilet can be hideously expensive to repair, especially if it happens while you're away from home. Notion is accepting pre-orders now (with discounted prices). A single sensor and bridge will cost $129, or you can buy a bridge with three sensors for $199. Bundles with 5 and 10 sensors are also available, and three-packs of additional sensors will cost $135. Notion expects to ship its product in late July. I hope to be able to post a hands-on review soon after.